And a whisper of orange. 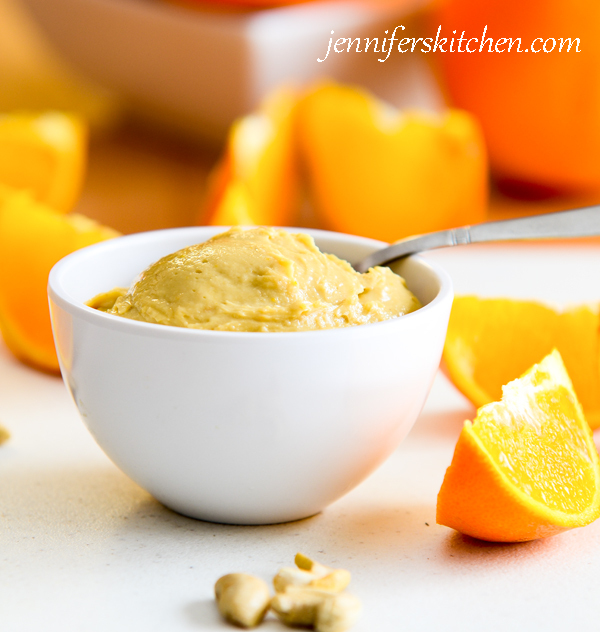 This Dreamy Creamy Orange Cashew Butter is all of these and then some. Stop processor and scrape mixture off bottom and edges. Process again. Repeat this step several times until you have a super creamy butter. 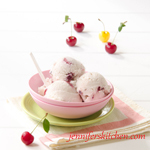 Add remaining ingredients and process until mixture becomes very smooth and creamy. Store in a sealed container in refrigerator. The amount of salt needed in this recipe will depend on how salty the roasted cashews are. Wash an orange thoroughly to remove the wax (and germs) from the skin of the orange. Using a zester, grate the skin of the orange with a light touch. You want to get fine pieces of skin (with which will come the oils from the skin). Be careful to avoid the white part just beneath the skin (the pith) as it has a bitter taste. You will have the most success with making nut butter if you use a large food processor. All of the small ones I’ve seen don’t have enough power to turn nuts into a smooth and creamy butter. 1. Place nuts in processor fitted with the “S” blade. You’ll want the bowl to be about 1/4 to 1/3 full. Not enough nuts and the mixture will just fly around. Too many and it will bog down the machine. 2. Turn processor on to grind nuts into a very fine meal. 3. The nuts (especially harder nuts like almonds) will begin to gather around the outside of the bowl. When this happens, stop the processor and scrape down the sides. 4. The meal will start to get a little sticky and clump together. Again, stop processor occasionally to stir and scrape mixture from sides and bottom of bowl if necessary. 5. The nuts will soon begin to form a thick paste. Soft nuts, like walnuts, will do this quickly, but harder nuts, like almonds, take several minutes. You may be tempted to stop the process there, but don’t! It may look like nut butter, but when you try to spread it on something, it will be crumbly. 6. Stir again, taking care to scrape the paste off the sides and the bottom of the bowl. 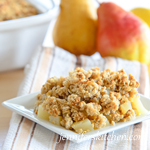 Continue processing (and stirring if needed) until the butter becomes super smooth and creamy. The longer you process, the smoother it will be. I have found that if I’m patient I can produce a nut butter that’s much creamier than any you can buy in the store. If you have a superior-quality food processor, you can have nut butter in about 4 minutes. A good-quality processor, can take about 7 to 8 minutes. Other processors can take as long as 15 minutes. 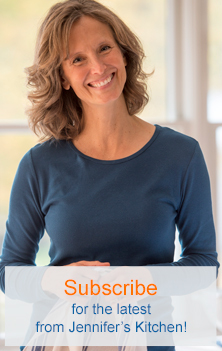 Want to Know More about Food Processors and What One Can Do for You? Click here to see a post I wrote about food processors (including info on whether they are really worth the money). 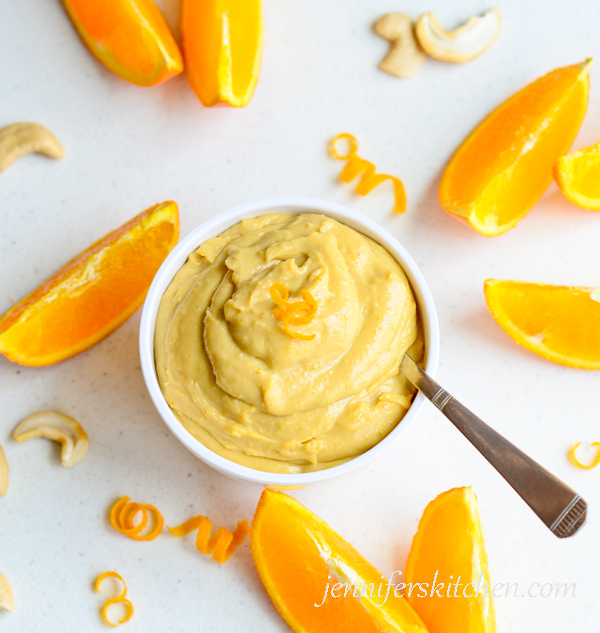 Beautiful cashew butter! 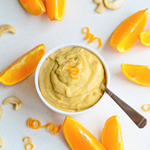 This is the first time I see orange flavored cashew butter, sounds delicious to me! 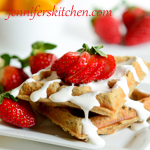 I think I am going to buy that Kitchen Aid food processor and try this recipe. Jennifer, the more I explore your blog the more I like it. I love everything about it, even your FAQ section :-). Thank you for the encouraging feedback. I’m so happy to hear when someone benefits from this blog. Pardon me Jennifer, but I heard that orange zest contains a natural toxin, and no one should eat the zest???? I got this from watching a ‘Cooking with the Benton sister’s’ program I watched on You Tube. I just looked at the Benton sister’s YouTube program- it is episode 23 that Trishonna Benton describes the orange peel/zest as having chemical compounds that are used in making bombs, for their spark ability; and it is a toxin not able to be digested in our stomach! Wow, maybe this is one thing which can cause our immune system to breakdown and lead to cancer,,, since toxins not expelled are absorbed in cells of our blood, fat tissue, muscle/organs!!! This is interesting; thank you for bringing it to my attention. I searched for some studies or research to explain or provide evidence for this, but I couldn’t find any. Do you know where the Benton sisters learned this or what they are basing it on? I do not know where they received their information. My guess is that a person of wisdom told them this. thenakedscientists.com- fruit fireballs is a link.